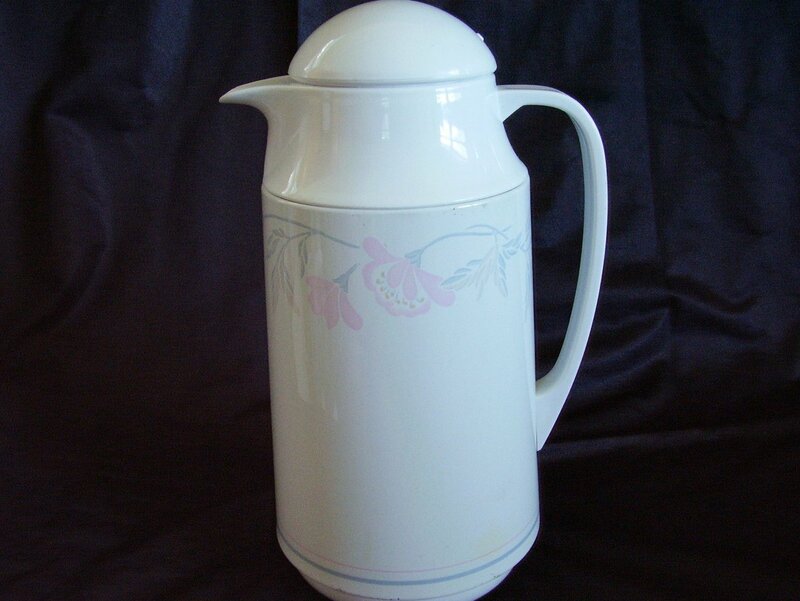 Corningware Thermique brand one quart insulated coffee carafe. 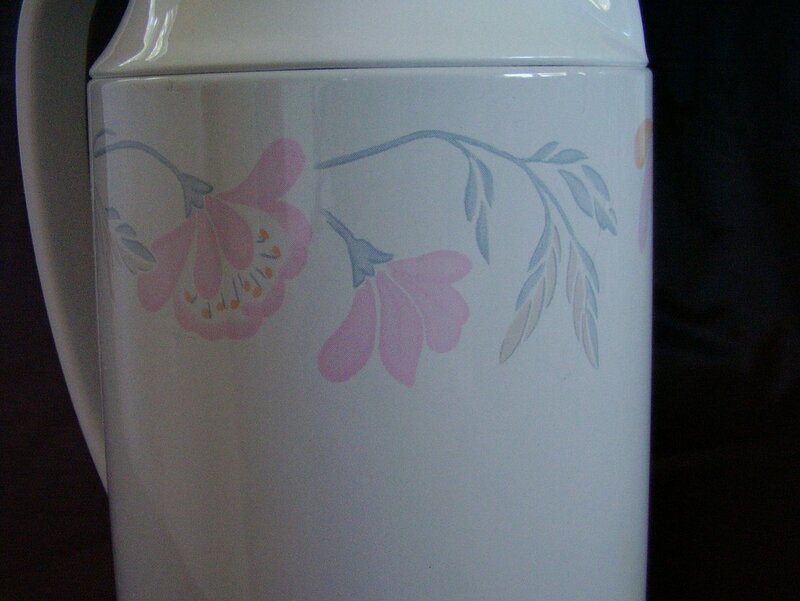 Carafe is made in the Pink Trio pattern and was introduced in 1995. 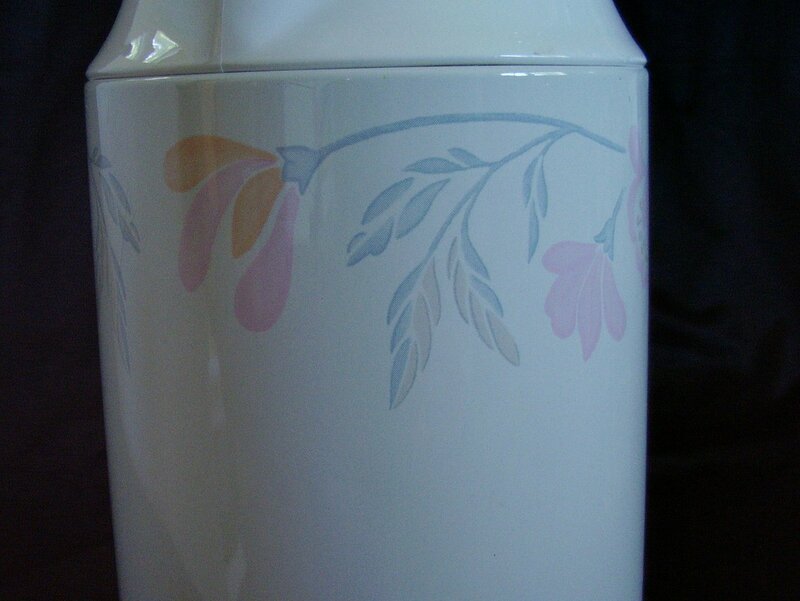 White background with pink flowers and tan and blue leaves. It is in gently used good condition with only very minor exterior marks. 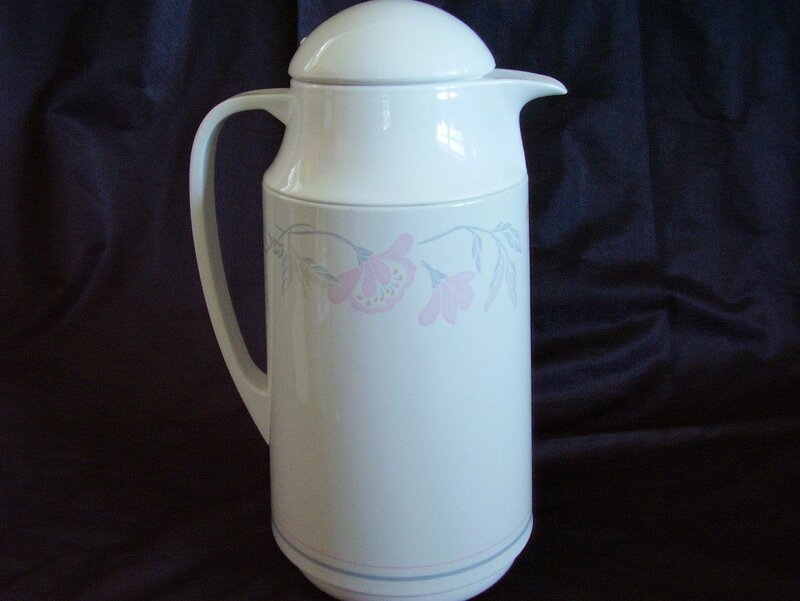 The carafe measures 10 3/4 inches tall x 5 1/4 inches in diameter, and uses a glass vacuum bottle with no apparent issues. Holds 1 qt. Made to keep hot hot, and cold cold.